UACCM’s automotive technology service program has received new equipment through a partnership with Snap-on Tools. The automotive technology service program at the University of Arkansas Community College at Morrilton is receiving new equipment thanks to its partnership with Snap-on Tools. 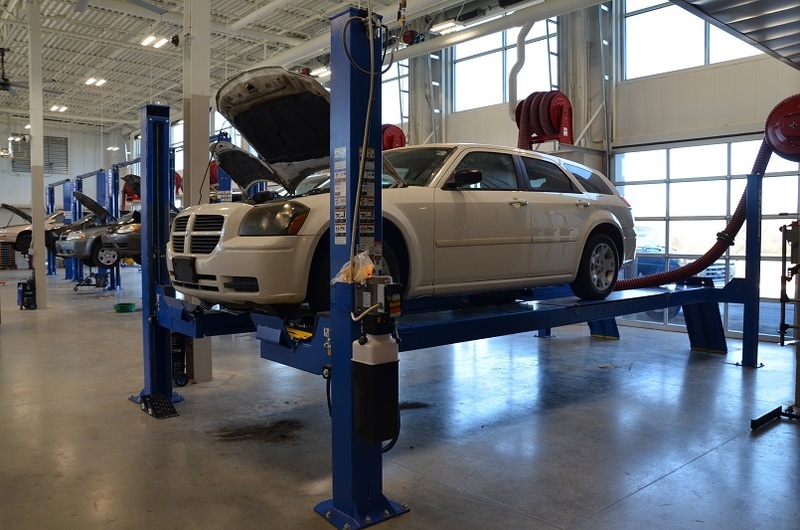 The equipment adds to a collection inside UACCM’s Workforce Training Center, helping students learn the latest automotive technology and join a high-demand job market. UACCM received the equipment from John Bean, a subsidiary of Snap-on Tools, either from purchasing or borrowing as part of a loan program. UACCM’s most recent acquisition is a John Bean T5745 tire and wheel service machine, the newest instrument of its kind on the market. Along with a John Bean wheel balancing machine that will arrive in the coming weeks, Snap-on will rotate these new machines in UACCM’s automotive service laboratory with new prototypes. The prototypes come just months after UACCM purchased an advanced John Bean V3400 3-D aligner from Snap-on, allowing students more opportunities in the future to train on equipment found in fully-stocked automotive shops. Instructors hope that exposing students to new equipment offers them an edge in the job market. “Original equipment manufacturer dealers, franchise owners and independent shops can all benefit from hiring our students due to the advanced training provided by our automotive instructors using these new tools,” West said.